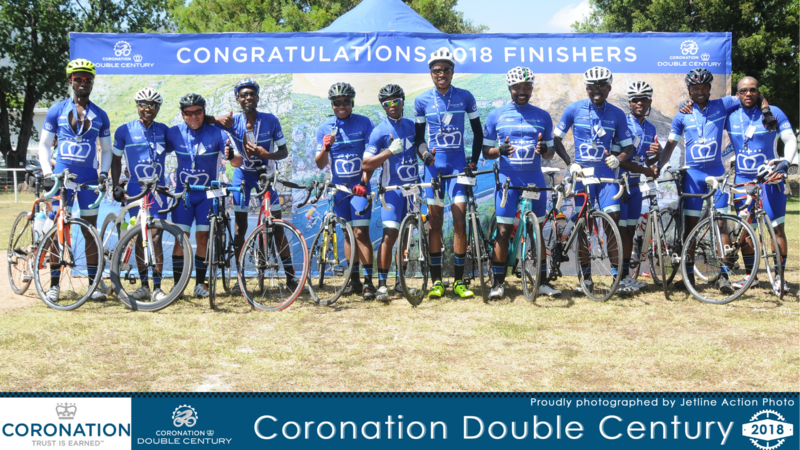 The Coronation Double Century (CDC) is all about what dreams are made of – dreams shared by twelve cyclists faced with conquering a grueling 202km of pedaling through the hilly terrain in the Swellendam region of the Western Cape. It all started when Paul from Ride2Live announced to the team that Coronation would be sponsoring a development team once again in 2018, after a successful 2017 ride which saw 7 cyclists participate in a team. Just as in the previous year, the 2018 team would ride under the name ‘Coronation Ride2Live’, which is a team consisting exclusively of development riders. 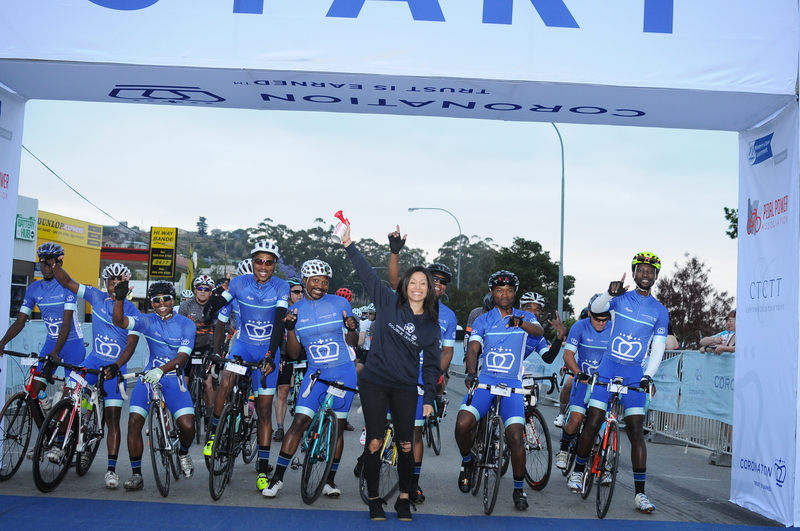 In 2018 however, there were positive changes as now a team of 12 was assembled – comprising of cyclists from Gauteng and the Western Cape. In no particular order, the team consisted of : Tshepiso Sehloho (Captain), Hendrick Mashamaite, Quentin Jewatzchewitz, Thabang Mothlothlong, Thabo Mahlakaro, Kabelo Mokgolobotho, Kenneth Ncube, Vusi Marenene, Yibanathi Ncedana, Peter Phala, Mzu Fayo and Christopher Sehlangu. 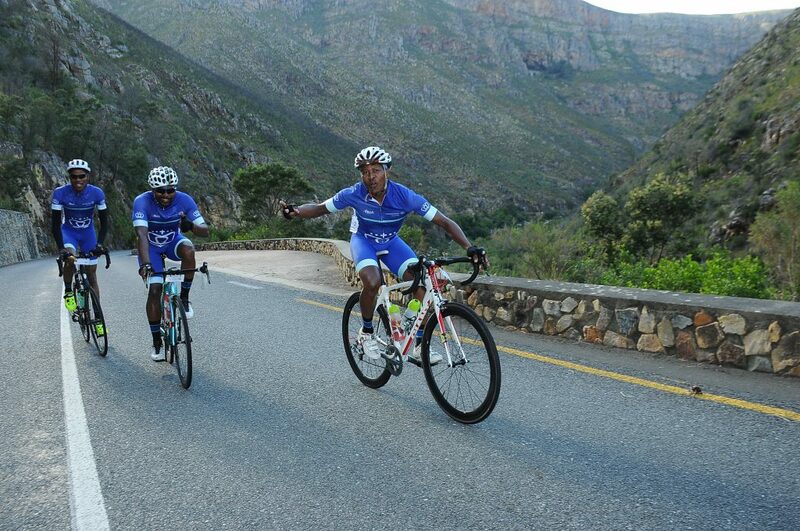 The Gauteng cyclists left their province on the 22ndof November 2018 and arrived the following day at Swellendam, while the Western Cape based cyclists (2) departed on the 23rdof November 2018. The team arrived to a warm reception from Wendy and Chelsea of the Coronation crew, who worked tirelessly behind the scenes to ensure that the administration matters of the team were well taken care of. With both sides of the team finally together, they were welcomed with a hearty dinner at a restaurant where members had a variety of food options to choose from. After dinner, the team got together to fit their brand new cycling kit, which was of the best quality. The team was supplied with breakfast and proper nutrition before the start of the race which helped to put us in shape for the demanding distance which we were about to cover. We got to the start in the morning and took pictures with Wendy, which was one of the highlights of the day. For some, this was a first experience, while for others it was a repeat of the addictive pain from the uphill battle that seems enjoyable enough to be conquered yet again. The team gathered on the penultimate day to strategize on how they want things to unfold, with the most popular goal amongst the them being to finish the ride with all 12 cyclists crossing the finish line – it is as they say, “start with the end in mind”. The support given by Coronation were impeccable, especially considering that they had to take care of two teams at the same time. The challenging race went well and everything managed to go according to plan. The team is also proud that while remaining loyal to the goal of finishing the race with all the team members, they produced better results than the year before. In 2017 the team finished the race in the time of 07:04:39, while in 2018 the race was completed within 06:36:31, earning them the Charles Milner medal. This was a sign of true team work and camaraderie. After the race, members of the team had a few words of appreciation and jubilation to say to the Coronation team and about the experience itself. Tshepiso (London)– “This was my second Coronation DC race in two years and this year (2018) I was honoured with the title of being the captain of the team. As I had taken on cycling less than two years prior, I had expected a tough time leading a group of such talented cyclists with years and years of experience behind them. Instead, I received support and whole hearted cooperation, especially from the guys who have been in the field for a long time. It was one of the best and most rewarding things I have ever had to do, to lead this wonderful team. Quentin– “This was the most organized and well planned cycle race ever, to the finest detail. A team event that builds character, promotes friendships and motivates individuals. The race goes through a nice route, with beautiful scenery and tough climbs that challenges every cyclist, which ultimately is good for team building. Mzu– “I have ridden quite a number of DCs with different teams. I have prepared well for races while sometimes I haven’t. One thing that makes this race stand out is the amount of teamwork required, everyone always has something to contribute, whether they know it or not at the beginning – be it fitness to pull longer or jokes and/or words of encouragement to keep us going when the legs give up. Regardless how much a team has prepared, the one thing that beats them all is the feeling you get as a rider as you get closer to the feed zone. These stops don’t only fuel the energy levels, but the mind as well. This is one thing that most teams overlook as part of the preparation. This year I got the privilege of being part of one of the ‘Coronation Ride2live’ team. I got to experience a level of treatment that was beyond one of a VIP. I’m talking before, during and after the gruelling 202km race. I got to experience how it is to be properly fuelled during a race. Every time we got to the stops, we all smiled and left energised – That was priceless. There is nothing you need more than hope in the last stop. We got that from the support personnel and I would like them to know how much we appreciate all their efforts. All the team members expressed their heartfelt appreciation on the effort and support by Coronation in ensuring that the ‘Ride2live’ team takes part in the Coronation race. 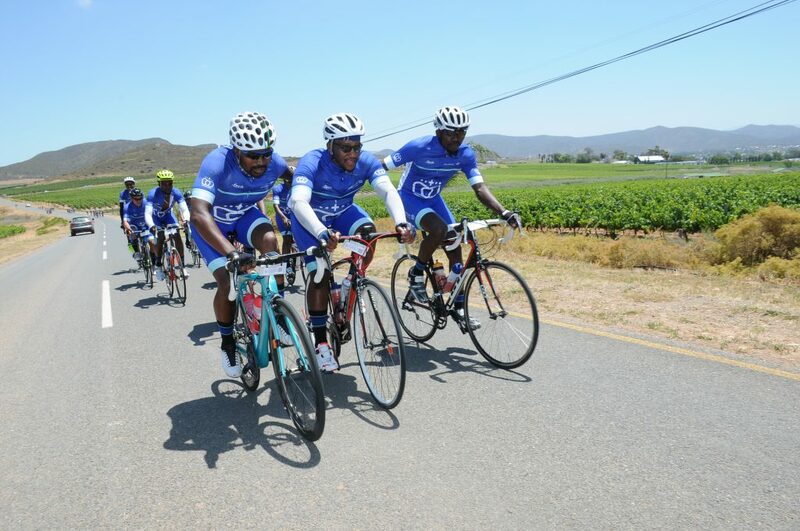 The team is always training and ensuring that they improve as individual cyclists and also as a collective such that when the opportunity arises again for them to take part in the CDC, they are well prepared and ready to take on the challenge with no hesitation.